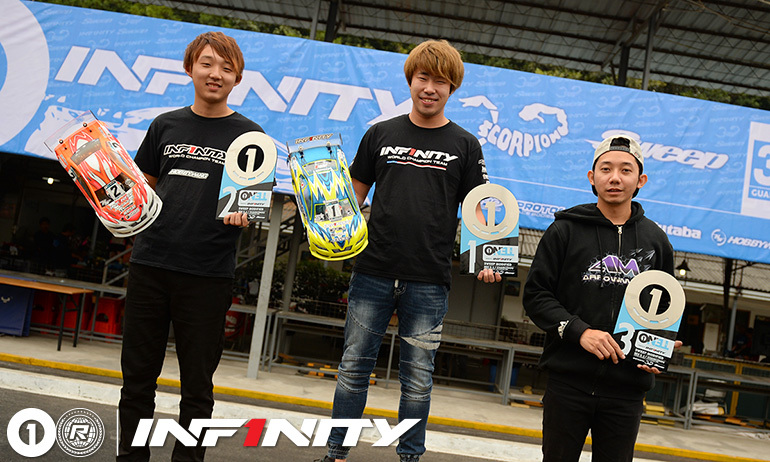 Akio Sobue has maintained his perfect record at the 2018/19 OneTen Series presented by Infinity having taken the win in the 8-minute A-main here in Guangzhou. Having already wrapped up the title with the win in round 5 yesterday, the Japanese driver led a mostly processional race as racers drove with battery conservation in mind. 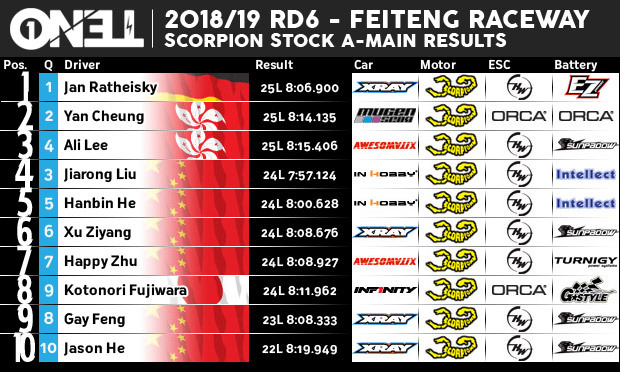 In the end, the top 4 finished in the positions they started with Sawada crossing the line in 2nd, while Nicholas Lee and Jan Ratheisky, who had a good battle early on, completed the top 4 with Haoran Ma in 5th. The talk before the race was trying to finish the 8 minutes on this high speed track and Sobue said he drove the race very smoothly, having pushed hard in the first few laps to build a gap. He was able to maintain his lead and in the end had a lot of power left in his 6300mAh cells. 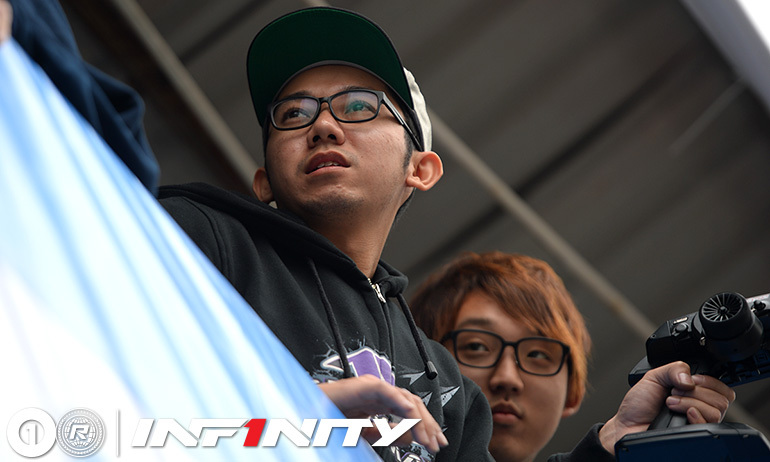 Despite having taken the title, the Infinity driver said he will for sure be in Hong Kong for the final two rounds saying he is aiming for a perfect score in the series. Team mate Sawada, who was running a 5600mAh pack, had his IF14 shut down on his in-lap after the race, causing an accident after the main straight. Checking his pack afterwards he only had 6.4V remaining and so declared his position as ‘a lucky 2nd’ as he would not have gone another lap. Like his team mate Jin started hard and then drove smooth to maintain track position, helped by the battle going on behind him. Nicholas Lee would claim the final step of the podium in 3rd, the Yokomo driver being involved in the only real battle in the race, as he was passed by Ratheisky at the start but got the German back a few laps later with a very nice move at the end of the pit straight. Blaming losing the position at the start on having to wait too long for the race to get going which caused his tires to cool down and lose traction, the Yokomo driver said once his tires came in he was able to re-challenge the Xray driver. 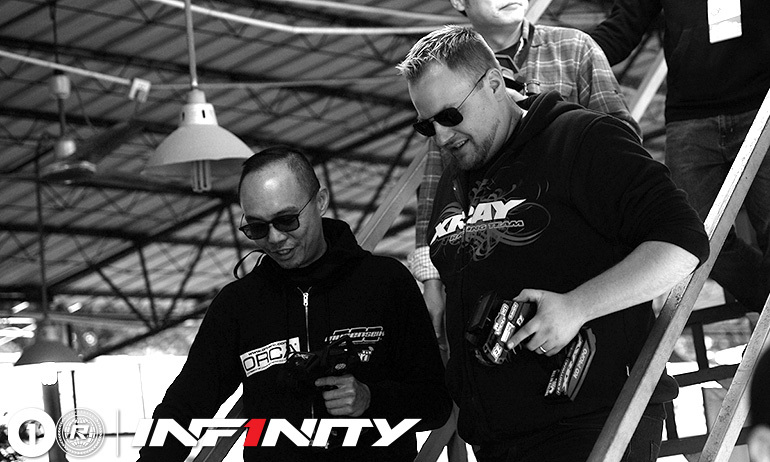 Looking to push to catch Sawada ahead, Nicholas started to get concerned about whether his battery would go the distance and so held back, but there was no need because following the race he checked and his LiPo still had ample power left. Ratheisky, who was running back to back finals, got the pass on Nicholas at the start and felt his car was great in the first 2 minutes but then said it started to push and it only got worse as the race went on and he was left with no steering at the end. Jan had installed an 8200mAh battery in his Xray which meant he was able to push the electronics hard all race long but felt the extra weight of the bigger battery upset the balance of his car too much. The Scorpion Stock class, which runs identical Scorpion 13.5T motors, once again belonged to Ratheisky. An uneventful race for the German he crossed the line to take the win by 8 seconds from his rival, Hong Kong Mugen driver Yan Cheung. 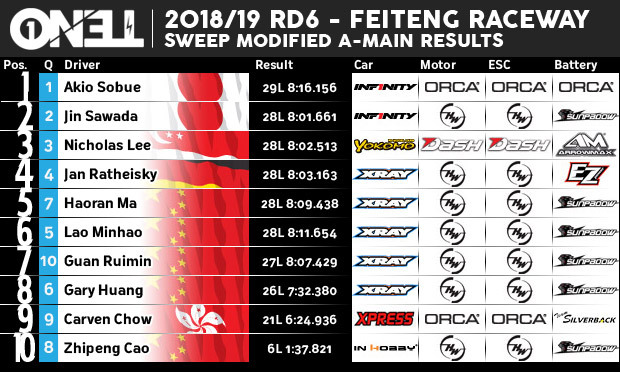 Third spot would go to another Hong Kong driver Ali Lee, driving an Awesomatix, while the InHobby pairing of Jiarong Liu and Hanbin He completed the top half of the field.